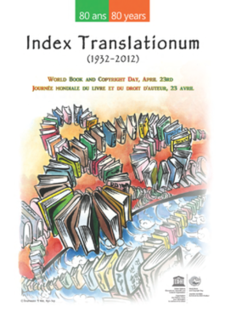 Today I am joining the celebration of the World Book and Copyright Day (also known as International Day of the Book or World Book Days) a yearly event on 23 April, organized by UNESCO to promote reading, publishing and copyright. The Day was first celebrated in 1995 and in 2012 the UK World Book day was celebrated on March 1, 2012. As part of my celebration I am sharing with you some quotes from one of my favorite books. This year I have chosen the book “The Law” written by Frederic Bastiat. The book was first published as a pamphlet in June, 1850 and later became widely read in Europe and the world. In The Law, Bastiat states that “each of us has a natural right — from God — to defend his person, his liberty, and his property”. The State is a “substitution of a common force for individual forces” to defend this right. The law becomes perverted when it punishes one’s right to self-defense in favor of another’s acquired right to plunder. Bastiat defines two forms of plunder: “stupid greed and false philanthropy”. Stupid greed is “protective tariffs, subsidies, guaranteed profits” and false philanthropy is “guaranteed jobs, relief and welfare schemes, public education, progressive taxation, free credit, and public works”. Monopolies and Socialism are legalized plunder which Bastiat emphasizes is legal but not legitimate.